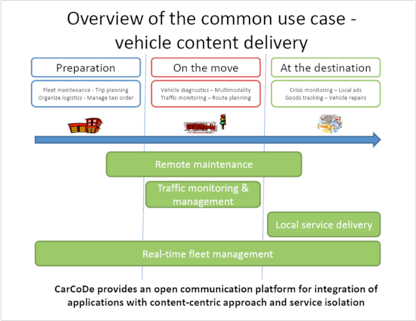 CarCoDe is the ICT experts response to develop a software platform for automotive domain which evokes the generation of the traffic service domain ecosystem. The main objective of the project is to create automotive, device and operating system independent software enablers for supporting sustainable deployment of the co-operative traffic services. 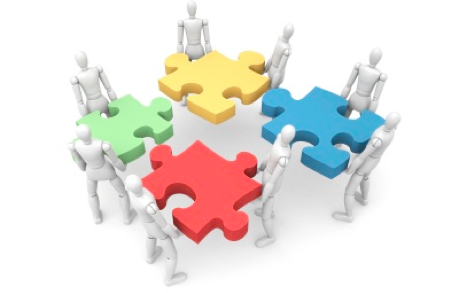 The aim of the second project (3 years, 2015-2018) is to study of Shared resource management in crowd networks. The aim of this project (3 years, 2011-2014) is to study ICT for a communicating vehicle. Europen project : ITEA 2 FUSE-IT : Future Unified System for Energy and Information Technology. 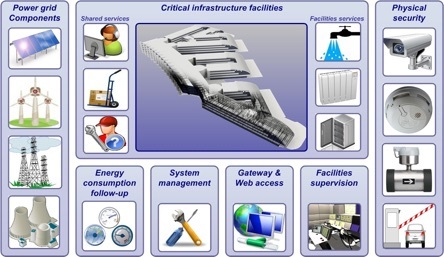 Fuse-IT will address the need of sustainable, reliable, user-friendly, efficient, safe and secure Building Management System (BMS) in the context of Smart Critical Sites. It is the sole initiative addressing Sustainability and Security & Safety challenges from a site management perspective. It will benefit to both challenges by solving the dilemma between efficiency and security in intelligent buildings. French partners : Cassidian CyberSecurity (CCS) - Leader, Thales Research & Technology (TRT), Thales Systems (TS), SOGETI HIGHTECH (SOGETI), ARC Informatique (ARC), VTREEM, EISIS, CEA LIST (CEA), Institut Mines-Télécom (IMT-TSP), Université de Bourgogne (UB), Université de La Rochelle (ULR), Institut Catholique des Arts et Métiers de Nantes (ICAM). The aim of the first project (3 years, 2010-2013) is to study the complementarity between the cellular network 4G LTE and vehicular networks with and without a controlled mobility. The aim of the second project (3 years, 2014-2017) is to study the Energy Efficiency and Quality of Experience of a micro-cellular network. French partners : NXP Semiconductors, Deveryware, Gemalto, Pertimm, Softeam Cadextan, Université de Bourgogne (UB), Université de La Rochelle (ULR).